(PRESS RELEASE)-ESPAÑOLA, N.M., June 26, 2014— Ten New Mexico businesses – headquartered in Abiquiu, Albuquerque, Alcalde, Santa Fe, and Taos – have been named winners of the 2014 Venture Acceleration Fund (VAF) awards. VAF was initiated in 2006 by Los Alamos National Security, LLC (LANS), the company that manages Los Alamos National Laboratory (LANL), to stimulate the economy by supporting growth oriented companies. “Since the VAF was initiated in 2006, Los Alamos National Security has invested approximately $3 million in 49 New Mexico businesses,” said David Pesiri, director of the Feynman Center for Innovation. “Now it’s a community effort, with Los Alamos County, the city of Santa Fe and MEP stepping forward to partner with us. It’s encouraging to see that the payback triggers we implemented in 2013 are already creating sustainability for the fund.” Pesiri said. The grant awards are administered by the Regional Development Corporation’s Los Alamos Connect program in coordination with Los Alamos National Laboratory. LANS invested $306,000, Los Alamos County invested $25,000, Santa Fe city government invested $30,000, New Mexico Manufacturing Extension (MEP) Partnership invested $25,000, and $30,000 came from repayment to the Regional Development Corporation by a previous year VAF grant recipient. o Flow Science, Santa Fe: computational fluid dynamics modeling software packages. o Heavy Oil Solutions, Santa Fe: converting low-grade petrochemicals into higher value products using super critical water extraction and refining. o Keystone Restoration Ecology, Santa Fe: remote assessment of watersheds using Geographic Information Systems mapping. o Milk+Honey, Santa Fe: expanding handmade goat milk soaps and beeswax lotion bars into the national market. o Xpress, Santa Fe: electronic tablets to improve how health-care providers choose drugs relevant to their practice, eliminating costly pharmaceutical sales representatives. o FLUTe, Alcalde: flexible liners for mapping groundwater contamination and municipal water supplies. 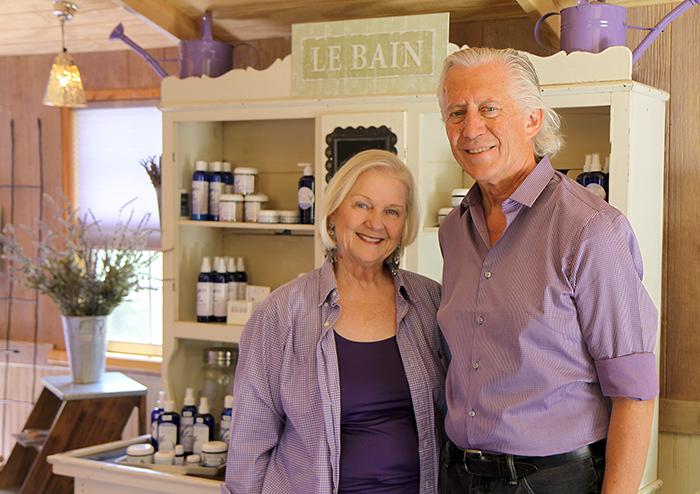 o Purple Adobe Lavender Farm, Abiquiu: expanding lavender-based body care and culinary products into the national market. o Private Label Select, Taos: natural personal care and cosmetic for national department stores, pharmacies and large manufacturers. o Taos Mountain Energy Bars, Taos: energy bars; to improve manufacturing and packaging and eliminate waste and ramp up production to meet demand. o Seed Worthy, Albuquerque: start-up company provides full wrapper platform (Bow Tie) for web and application developers. This Venture Acceleration Fund was originally created to commercialize technologies developed at the Lab but now includes all types of businesses in every stage of development. The Venture Acceleration Fund is part of Los Alamos Connect, that aims to help entrepreneurs and businesses reach the next level of success and grow the economy in Northern New Mexico. The VAF is a collaborative investment funded by Los Alamos National Security, LLC (LANS), Los Alamos County, the city of Santa Fe and New Mexico Manufacturing Extension Partnership. The fund is administered by Los Alamos Connect, a program managed by the Regional Development Corporation. Los Alamos Connect (www.losalamosconnect.net<http://www.losalamosconnect.net>) is the principal economic development investment by Los Alamos National Security, LLC the company that manages Los Alamos National Laboratory. Los Alamos Connect, administered by the Regional Development Corporation (www.rdcnm.org<http://www.rdcnm.org>), provides a variety of services to help businesses achieve growth, continued success, and increase economic impact in Northern New Mexico. 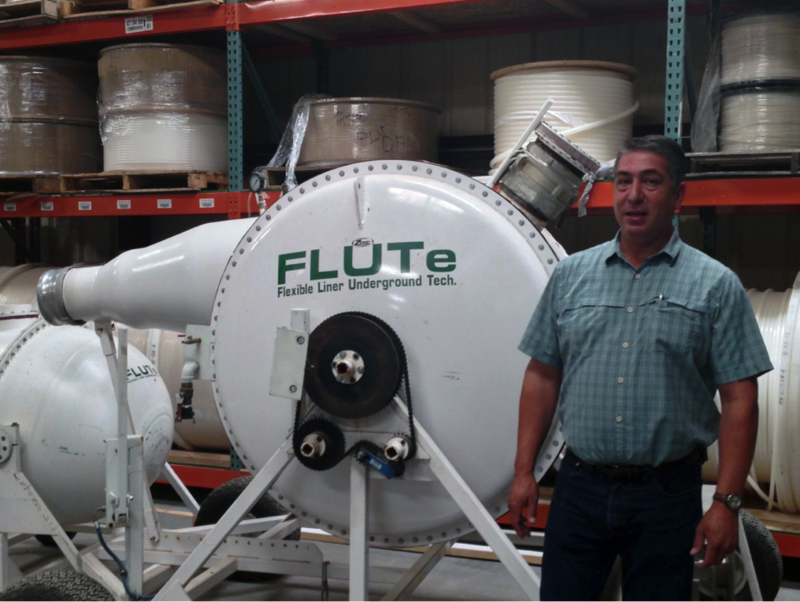 Founded by scientist Carl Keller in 1996, FLUTe stands for “Flexible Liner Underground Technologies” and manufactures flexible borehole liners used for mapping ground water contamination and municipal water supply resources. The company’s product is gaining ground in the oil and gas and mining industries, and has been installed worldwide from Denmark to South Africa. Recently, FLUTe added new distributors in Brazil and Australia. Clients include Boeing, GE, Exxon Mobile, Ford, GM, Dow Chemical, the Environmental Protection Agency and the US Army Corps of Engineers, among others. The Venture Acceleration Fund (VAF) collaborative investment into FLUTe came from Los Alamos National Security, LLC (LANS), the company that manages Los Alamos National Laboratory (LANL), as well as Los Alamos County, the City of Santa Fe and New Mexico Manufacturing Extension Partnership. More than $407,000 was awarded to ten companies through the VAF, which is administered by the Los Alamos Connect program within the Regional Development Corporation of Española. The VAF funds purchased critical equipment that represents more than $50,000 in annual savings for the company. In addition, FLUTe will have complete quality control over the materials – something that currently wastes precious time and resources when they have to return parts to their vendor in California. By bringing this piece of their manufacturing process in house, it eliminates shipping costs, turnaround times and is allowing the company to add four new positions immediately. Moving from the facility the company had occupied for more than 10 years in Cuyamungue was an expensive proposition, but Sanchez saw the opportunity in Alcalde immediately. A former general contractor, he led the renovation team in transforming the dusty shell that had been repeatedly scavenged into the 30,000 square foot facility that encompasses an office building, a lounge/conference center and the plant today. The company will easily be able to double production in the new facility, which added more than 14,000 square feet to the manufacturing plant after the renovations were complete. Thank you and Veronica for such an outstanding job in the re-development of this website in such a short period of time. We appreciate you and Veronica very much and wish you future success in your endeavors!